Fostering unity in diversity through the power of the performing arts. West Coast REACH! 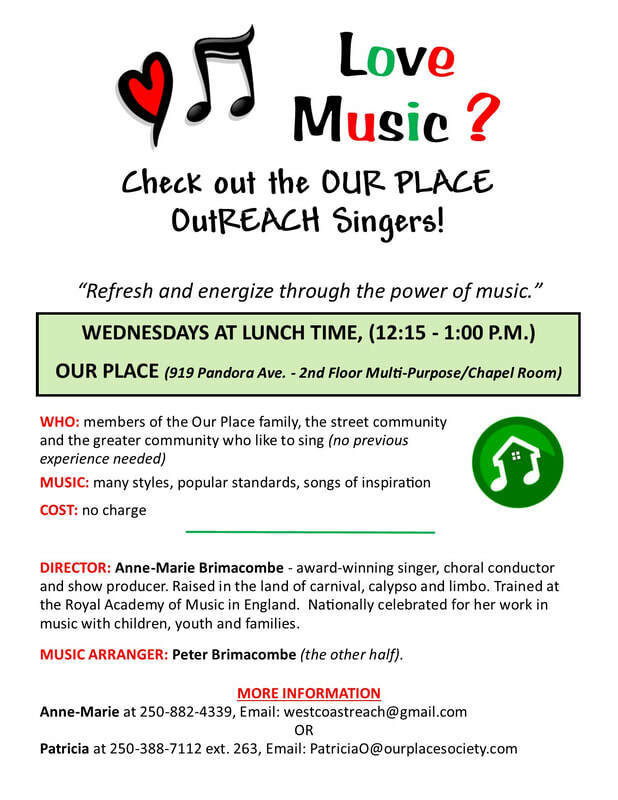 Association is a dynamic non-profit organization in Victoria, B.C., using the performing arts to nurture, inspire, empower, inform and unite people of all ages, cultures, faiths and abilities. REACH! Performing Company - an amazing, inclusive, non-auditioned group of "abled" and "differently-abled" adults and youth (15 years and up). A number of members are professional performers, and the group inspires thousands each year at its performances at significant public events. Rehearsals are held weekly at Saanich Commonwealth Place in Royal Oak (centrally located for those in Greater Victoria, the West Shore and the Saanich Peninsula). Music and Movement Are Magic - an innovative early childhood learning program offered for children of refugees and other new immigrants in the wonderful daycare program at the Inter-Cultural Association of Greater Victoria. 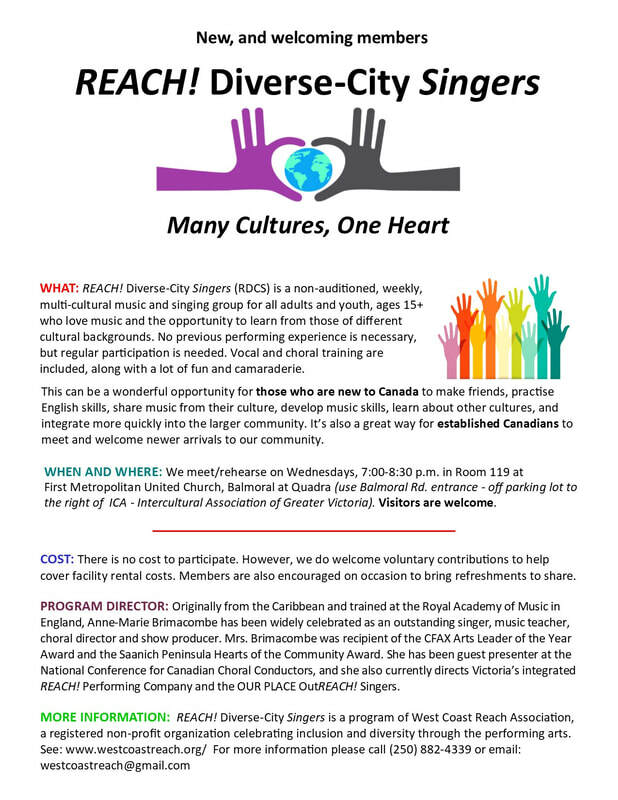 - a non-auditioned, multi-cultural music program for adults and youth (15 years+) who love music and the opportunity to learn from others of different cultural backgrounds.